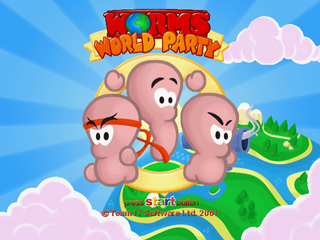 Worms World Party is an entry in Team 17's Worms series of games, and was released among other platforms for the Sega Dreamcast in 2001. It can be seen as an "update" to Worms Armageddon (which itself builds on the formula seen in Worms 2), however has a much stronger focus on multiplayer and makes use of the Dreamcast's online features. The Dreamcast port is lacking in some areas, however. There are fewer multiplayer options in the Dreamcast version, and less worms are allowed on the battlefield at one time. It can also take longer for computer players to make a decision. Main article: Worms World Party/Magazine articles.